I remember nuts and bolts from my childhood! Thanks for the memories and have a great SITS day! This looks yummy! And I love liquid smoke. It comes in handy for lots of stuff! Love this! My mom used to make this every holiday season (with a little different method). I might have to bring back the tradition this year! Great use of flavorings–I’ll have to come up with a gluten-free version. I love these types of mixes! I remember these from when I was in high school. Nice blast from the past. I may try it at my next party. Oh man I remember this stuff from when I was a kid. I’m going to have to make it this year. Happy SITS day! I know just what you mean! Once you taste it, it become one of those very strong taste memories. P.S. I checked your Family Dinner post and really enjoyed it (said the older mom whose kids can all tie their own shoes). Another truth: family dinners never look like the picture in your head. And that’s OK. Great family memories rarely look like the picture. I’ve never seen Chex mix made in a paper bag…interesting! 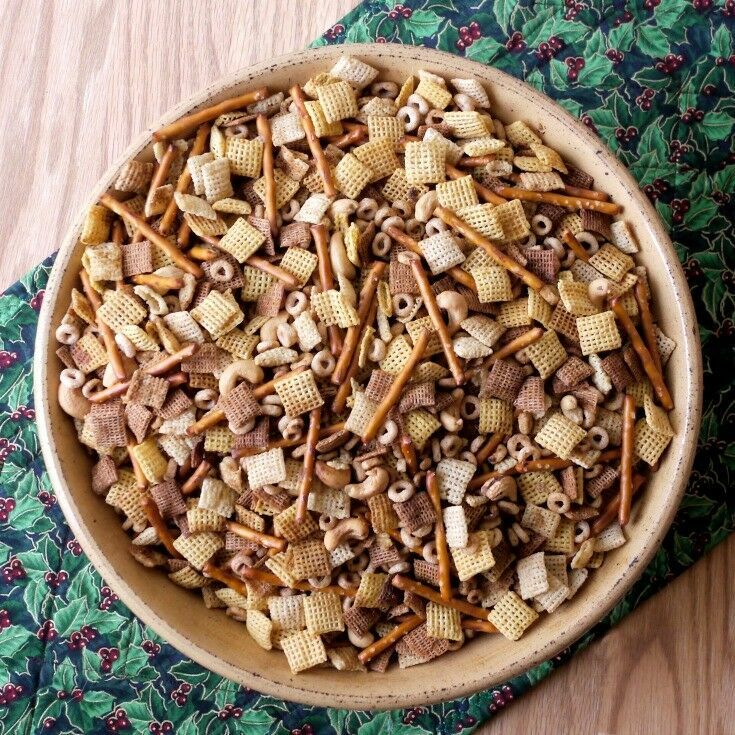 Chex mix is one of my all-time fav recipes. 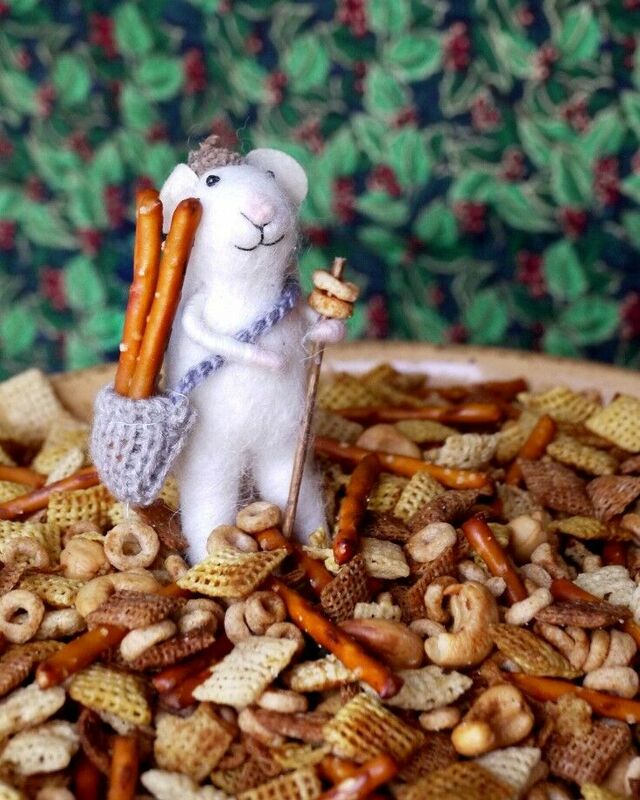 My mom (and every other mother in my hometown) made Chex mix for holiday festivities. 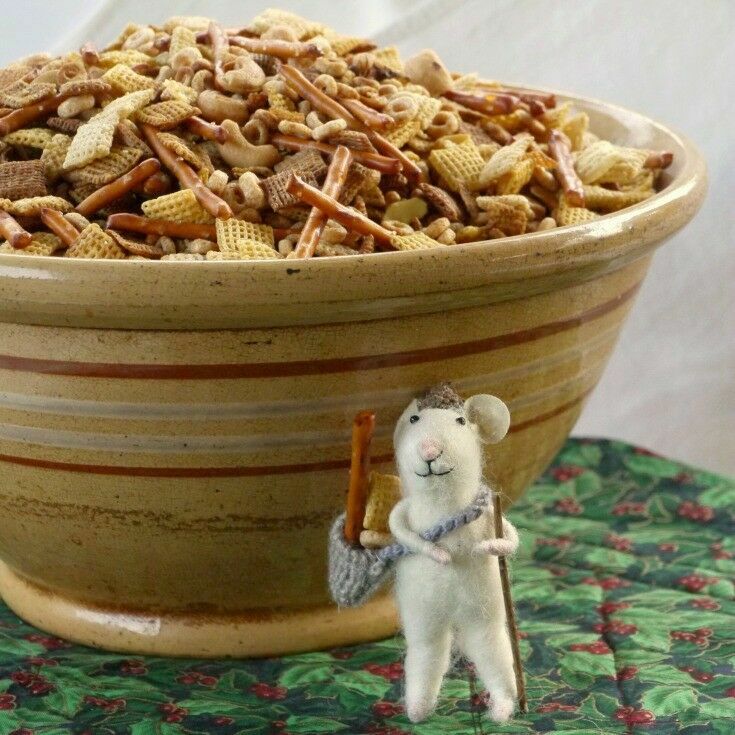 That time of year was definitely a feast for the snack! Thank you for stopping in! The paper bag was more of an end-solution: I didn’t have a pan big enough to put a whole batch in, and the bag idea worked great, so I just kept doing it. My mother used to make something just like this when I was a kid! Ha. She called it Trash. We were just talking about it the other day. I’m not sure of everything she used to make it, but I don’t think it was much different from yours. Takes me back. AHHH. Visiting from SITS! Looks so yummy!! Pinned this one! My mother in law makes this and I just love it! 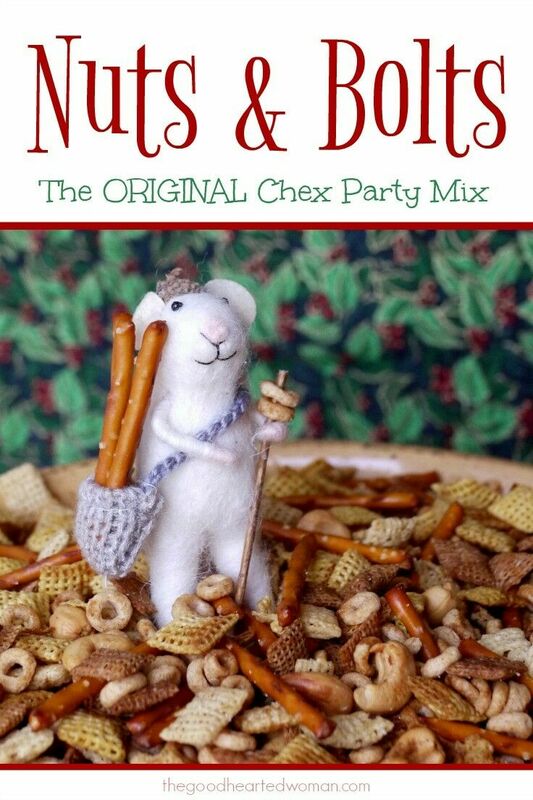 I’m finding that a lot of Moms made this before ready-made Chex mixes hit the scene. I think it’s time to revive the tradition! 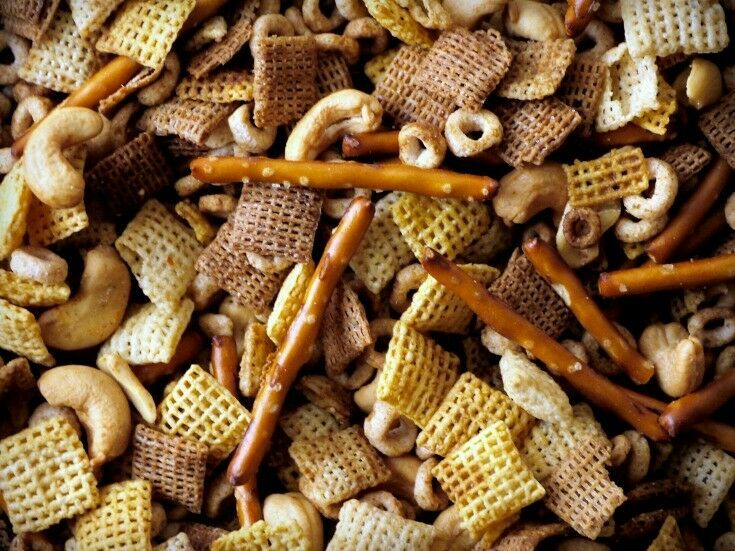 I didn’t grow up with Chex Mix so I never understood the appeal until I got older, but I always saw it in all of the party planning articles I’d peruse. It’s so tasty, and I love that you used cashews instead of peanuts in your recipe! What a great gift to package up and give during the holidays, too. WHAT!!!? That mouse is the cutest thing I have ever seen!!! This sounds amazing! 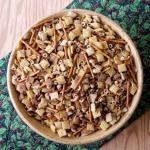 I definitely love a good amount of worcestershire sauce in my chex mix – Love keeping hand me down recipes alive! I remember this from my youth. My great aunt introduced me to it, she baked it in a large Nesco turkey roaster. and it was called Texas Trash. it did not have liquid smoke but it did have a generous helping of chili powder. I wish i had her original recipe but alas it has been lost. 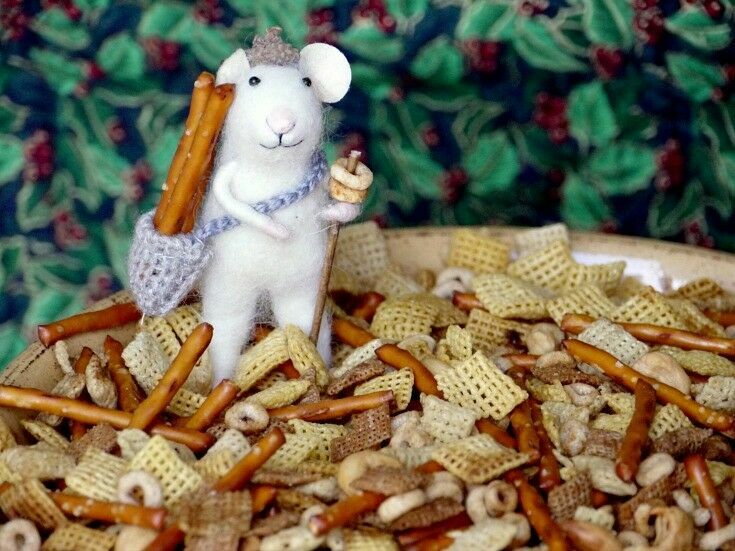 Your little mousie in the pics is THE BEST thing about my week so far! So glad he made you happy today!